I am teaching MUST 121 (Introduction to Computer Music), a large section of MMP 100 (Survey of the Music Industry), and MMP 495 (Senior Capstone Projects). I'm working with George Litterst and Richard Dowling at TimeWarp Technologies on an edition of Scott Joplin's piano works in SuperScore. I am working on presentations on "The Sweetwater Difference", "Music in a Post-Industrial Society", "Inclusive Pedagogy", "Adding an Entrepreneurial Mindset in Team-Based Learning", and "Getting Started With Electronic Music: An Open Course in Music Technology". I'm contacting music business professors at other Midwestern schools to see if they'd consider adopting my Introduction to the Music Industry: Midwest Edition text, and potential co-authors in the mid-north, southwest, and east coast regions to write new editions, like we have for the West Coast and South. 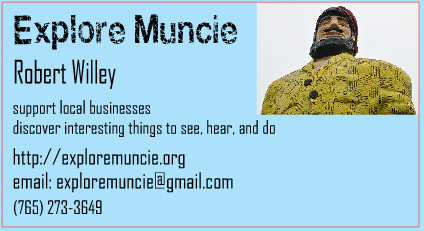 World Radio Player and Explore Muncie​. I'm using DistroKid to migrate my music from disk to Spotify, Apple, etc.